Long distance moving charges are based on the list of items that are you plan to move. Long distance moving charges are priced according to a tariff, total of all the items to be shipped, and distance from the point of origin to your new home. Long Distance moves are federally regulated under specific tariffs (published schedules of rules, rates, and charges for the transportation of goods). The tariff provides the schedule of rates and charges from which the give the total cost of the move. Our Company offers many advantages for you on the shipment of your household goods, among which are discounted rates on large moves. 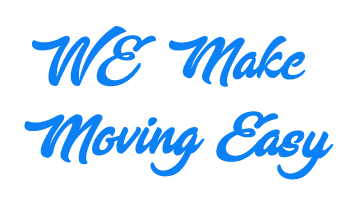 Carmel Movers offer one types of estimate; “FLAT PRICE”, Binding Estimate. Long distance moving charges are based on a flat rate, fixed price. Once we have taken an inventory of your furniture and other belongings, and identified a time-frame for delivery, we are happy to provide a binding price for your move. A binding estimate means that you are obligated to pay the price set forth in the binding estimate even if the shipment weighs more than or less than the estimated amount. All binding estimates cover only the goods and services listed on the estimate. If you add items or request additional services, the mover may revise the original estimate before your shipment is loaded or, if you request additional services after your shipment is in transit, your mover will Charge you for these added services, if they were not included in your estimate. Help the movers calculate the cost of your move by showing / telling them every single item to be moved. Don’t forget to go into the attic, basement, garage, shed, and closets and under beds. Reach a clear understanding about the amount of packing and other services needed. Anything omitted from the estimate but later included in the shipment will add to the cost. We hear so many stories about rip-offs and scams executed by a shady mover, or doing estimate over the phone. Customers are not being prepared. The wrong sized truck turning up, not enough movers to complete the move in one day, access to the property not possible because of overhanging trees, the client forgot to list the items in the shed, the swing not dismantled etc. making the move day difficult and tiring for all concerned especially if there are children involved. Planning is the key to a successful move taking time to make it easy for all of your family. The best way to ensure you and your long distance movers is completely prepared for the big day is to allow us 30 minutes of your time to survey your home to gather all the required information to ensure we have everything covered. When you receive your quote you will have peace of mind we have everything covered and there are no hidden surprises. Why not put your feet up and let one of our professional consultants help you plan your move, even if you do not use Carmel movers at least you have had some professional free advice. Don’t Fall Into the Traps Set by a Disreputable Mover! ✔ Demand an On-Site Estimate: Carmel Movers provides FREE on-site moving estimates. ✔ Check the Company’s Address: A REAL mover will have a REAL address. Once you get the address, make sure you Google it or drive to the location to verify its legitimacy. ✔ Ask for Recommendations from Friends, Family, and Neighbors: One of the best ways to find a great mover? Word of mouth from people they have moved before. ✔ Ask your Real Estate Agent: Real estate agents help people move all the time. They are a great source for a reputable mover. ✔ Get Three Competitive In-Home Estimates: Get three estimates from three different moving companies. If there is a significant disparity, this will help you to easily identify a fraud. The charge that you will be billed for your move is based on the list of items of your shipment, the distance that you move, and the other services that you require. All charges will agree between you and Carmel movers in advance to your moving day.